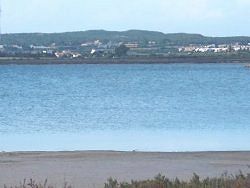 The La Lagunas de la Mata y Torrevieja Natural Park encompasses two salt lakes which have been hugely important in the production of salt, some some salt still produced there now. 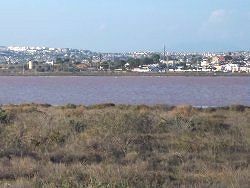 Salt production there dates back to the 13th century, making these the oldest (and they are also the largest) salt lakes in Europe. 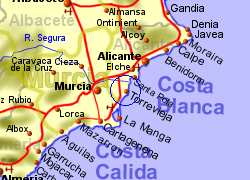 Between them, the two lakes virtually surround the town of Torrevieja and the area is now a Natural Park, due to large number of birds that nest or winter there - over 100 species in total. Bird species include Flamingoes, Black Necked Grebe, Avocet, plovers, hoopoes, and storks. 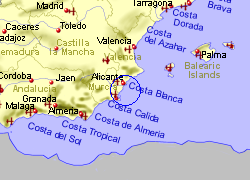 The park information centre is located at Casa Forestal de La Mata, close to the N332 coastal road and there are maked routes for walking, and in some cases, cycling. 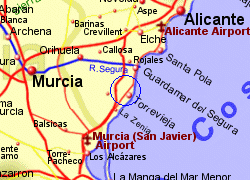 Map of the Las Lagunas de la Mata y Torrevieja area.